Whatever an organization’s mission, technology can help achieve it. Simply put, technology makes nonprofits stronger. That’s why it’s so important for foundations to understand the critical role they play in technology capacity-building. 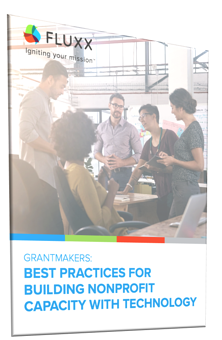 By providing technology and technical assistance, foundations can promote stability and the overall effectiveness of their grantees. Fill out the form at the right to get the whitepaper now.